ESPN suspended Jemele Hill for what the company is saying is a violation of their social-media guidelines. The woman who flipped off President Trump's motorcade last month was fired because she was told she had violated the company’s social media policy by using the photo as her profile picture on Twitter and Facebook. I would guess that the majority of American’s know what the First Amendment states, but I believe many people are not familiar with the National Labor Relations Act (NLRA). Congress enacted the NLRA in 1935 to protect the rights of employees and employers. On one hand you have the fear of disgruntled employees doing some serious company brand damage online. On the other, you have the risk of being sued for violating the NLRA. What isn't protected under the NLRA? Something like a Facebook post regarding wages or working conditions that is shared are forms of "concerted activity" that are not protected under the law. What is protected under the NLRA? Other online activities such as an employee engaging in discussions of social issues such as healthcare, education, economy, immigration, unjust treatment, etc. are considered issues of public concern and are protected under the NLRA. Ok so where am I going with this? 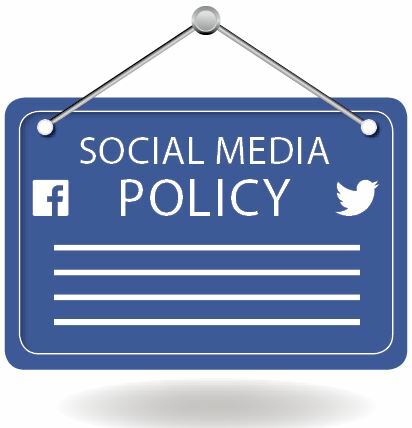 Employers need to have a social media policy to supplement an internet use policy. Lesson to be learned = Don’t expose your company to a lawsuit. Now is a great time to review your company’s policy to be certain it complies with the NLRA but also clearly outlines company expectations.